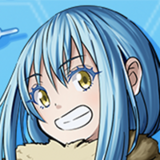 See KATFYR in Crunchyroll Expo's New Crunchy City Night Club! KATFYR is coming to the New Crunchy City Nightclub! The LA-based producer and DJ will bring his Beatport Top 100 sound in all of its bumping synth, chip-tune, and Japanese Jazz Fusion glory! Read on for more. 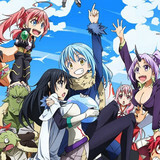 Crunchyroll Expo 2019: A Week of Amazing Announcements! Crunchyroll Expo returns to the San Jose Convention Center when this year's festivities kick off on August 30, and we have a slew of new announcements coming for you throughout the week. Dig in after the jump! 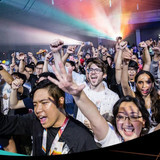 Anime's best weekend officially begins at the Crunchyroll Expo 2019 kick-off party! Be there Thursday, August 29 from 8:00 PM to 11:00 PM as TeddyLoid and HEAVYGRINDER turn it up! Read on for more. 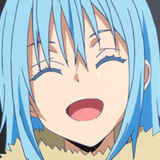 The anime adaptation of That Time I Got Reincarnated as a Slime has already inspired a ton of awesome merch, and the latest is a collaboration with outdoor equipment brand OUTDOOR PRODUCTS. Read on for pics and more! 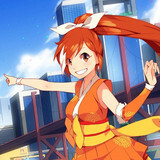 Crunchyroll Expo 2019 Hotel Blocks Are Now Open! If you need lodging in New Crunchy City, consider yourself accommodated! The New Crunchy City tourism office has prepared a host of hotel options to ensure a seamless stay for your entire trip. Read on for details. The age long debate over the existence of ghosts is solved and WE ARE THE ONES WHO SOLVED IT. 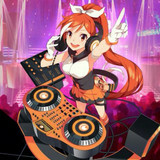 Crunchyroll Expo Reveals New Crunchy City Night Club! Where it's party time, all the time! There's nothing like the nightlife in New Crunchy City! Or in this case, our day and night life. Smack dab in the middle of our metropolis is the New Crunchy City Night Club, where it's party time, all the time! Read on for more. Unite the Power of Your Familia in DanMemo! Join forces with your Familia to take on DanMemo’s biggest bosses yet! Kicking Off the Year Big with Crunchyroll and VRV at C2E2! 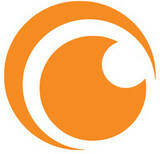 Crunchyroll is heading back to C2E2 (Chicago Comic & Entertainment Expo) on March 22-24 this year at McCormick Place! We heard you missed us. ;P Don’t worry, we missed you too. 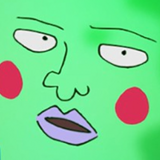 But we’ll make it up to you with some cool Crunchyroll stuff going on at the show! Read on for more. 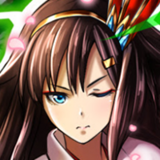 Celebrate Cherry Blossom Season With Grand Summoners! Cherry Blossom season is right around the corner. 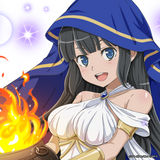 Celebrate with a new Hero Festival in Grand Summoners! Cherry Blossom season is right around the corner. Celebrate with a new Hero Festival in Grand Summoners! Hit the jump to learn more. 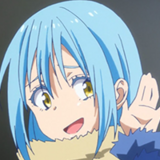 Rimuru and Shizu are once again reincarnated–this time as delicious baked goods! The That Time I Got Reincarnated as a Slime collaboration continues in Grand Summoners and Knights of Blood has even more to offer! The That Time I Got Reincarnated as a Slime collaboration continues in Grand Summoners and Knights of Blood has even more to offer! Hit the jump to learn more! Come meet Xanthe as she participates in panels, signs autographs, and more! 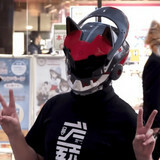 Another guest has been revealed for Crunchyroll Expo 2019, which is set to take place from August 30 to September 1 at the San Jose Convention Center. 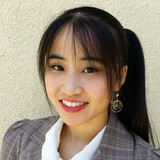 The latest guest to get in on the fun is voice actress Xanthe Huynh, who will be on hand to participate in panels, autograph sessions, and more! Read on for details. 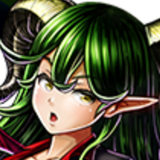 Ultimate Units Have Arrived in Grand Summoners! The first chapter in an all-new storyline filled with new ultimate units to add to your team in Grand Summoners is here! Find out more about Knights of Blood.